The 1960s saw the beginning of a resurgence in pop-up art. Contemporary artists like David Carter, Kees Moerbeek, and Jan Pienkowski pushed outward the boundaries of the pop-up book. Their sophisticated paper engineering, together with exceptional illustrations, elevated the pop-up farther off the page and into our literary landscape. So expansive was this pop-up renaissance that the modern reader is often surprised to discover the rich history of pop-up books. 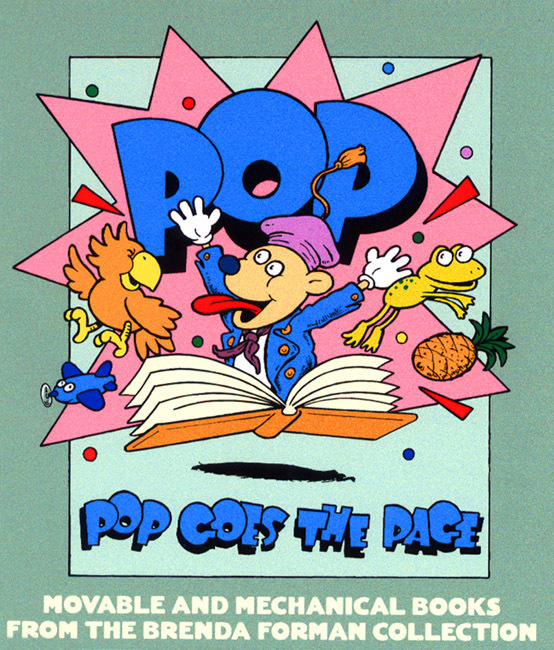 Hallmark Cards, Random House, and Intervisual Communications, Inc. exploded the pop-up market in the 1980s and 1990s, producing up to 25 million pop-up books a year. Waldo H. Hunt, founder of book packaging company Intervisual Communications, Inc. and primarily responsible for the rebirth of the modern pop-up book, enlarged the pop-ups' scope of appeal by also recognizing adult audiences. Though the assembly of pop-up books has involved a cooperative production process from the beginning, the modern pop-up distinguishes itself in its systematized construction approach. The intricacies of modern pop-up books have brought the paper engineer from obscurity to center stage. Today we recognize Tor Lokvig, Vic Duppa-Whyte, David Rosendale, John Strejan, James Roger Diaz, and their counterparts for the elaborate planning and precise layout necessary to produce a book. After the conceptual stages, pop-ups are marketed by book packaging companies and then sent all over the world to be assembled by hand. The low cost of labor in places ranging from Asia to Latin America makes these extravagant books affordable to a broad market. Meggendorfer, Lothar. The Genius of Lothar Meggendorfer: A Movable Toy Book. New York: Random, 1985. At a moment in time when the flat image of the electronic screen dominates the interactive experience, the modern pop-up gives us the same sense of surprise and discovery as the works of Dean, Nister, Meggendorfer, and Kubasta. We open a page and the text comes alive, unfolding into our very hands and linking us with children, parents, and bibliophiles through the last two centuries. This 1985 publication honors Lothar Meggendorfer, the nineteenth-century illustrator and innovator of movable books. 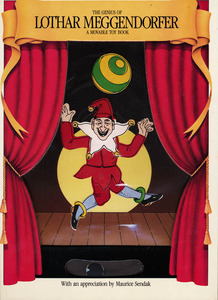 Children's book author and illustrator Maurice Sendak contributed an appreciation, while pop-up book collector and entrepreneur Waldo H. Hunt wrote the introduction. Both men recognize Meggendorfer's groundbreaking role in the history of pop-up art. 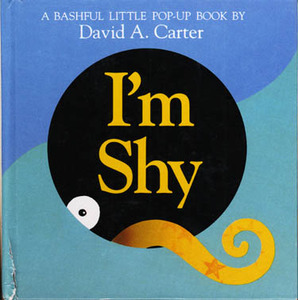 Carter, David A. I'm Shy. New York: Simon & Schuster, 1993. The shy yellow octopus with little orange stars gradually appears as we turn the pages only to disappear again by the end of the book. In the middle of the book, we see him at his least bashful. Seymour, Peter. 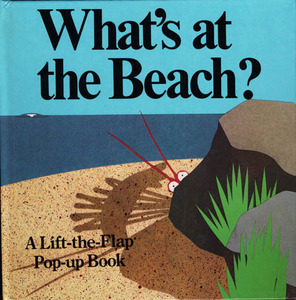 What's at the Beach? Illus. David A. Carter. New York: Holt, Rinehart and Winston, 1985. 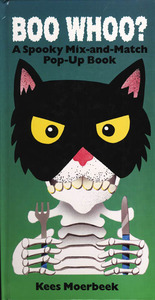 David Carter is one of the leading designers of contemporary pop-up books. The success of his work comes from its graphic vividness, clean bright forms, and well-engineered shapes. After encountering many of the expected sights at the beach, we meet a bright pink sea monster with popping eyes in the last panel. Moerbeek, Kees. Boo Whoo? A Spooky Mix-and-Match Pop-Up Book. Los Angeles: Price Stern Sloan, 1993. This book is a late twentieth-century version of a harlequinade--the simplest kind of movable book in which pages are bound and cut to allow individual sections to be turned independently to produce multiple combinations. Boo Whoo? also gives children the opportunity to create funny names for their strange monsters.